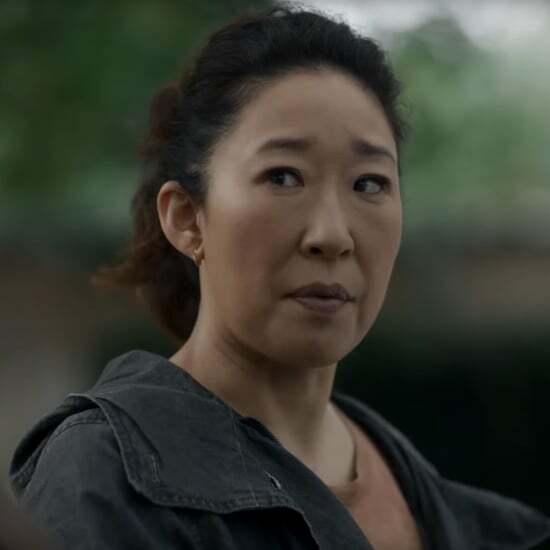 Are Villanelle and Eve Together in Killing Eve Season 2? This sexual tension isn't going away anytime soon. 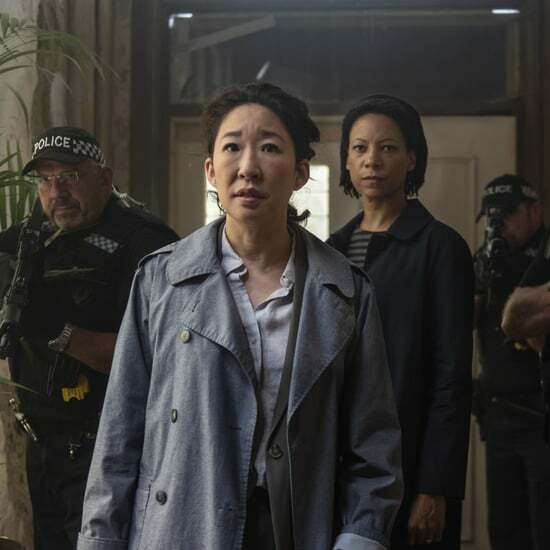 With an eerie rendition of "Addicted to Love" playing in its background, the first season two trailer, which dropped on Valentine's Day, strongly hinted at an espionage romance between Eve and Villanelle. We see Villanelle in a flamboyant blue onesie, saying ominously in a voice-over, "Sometimes, when you love someone, you do crazy things." 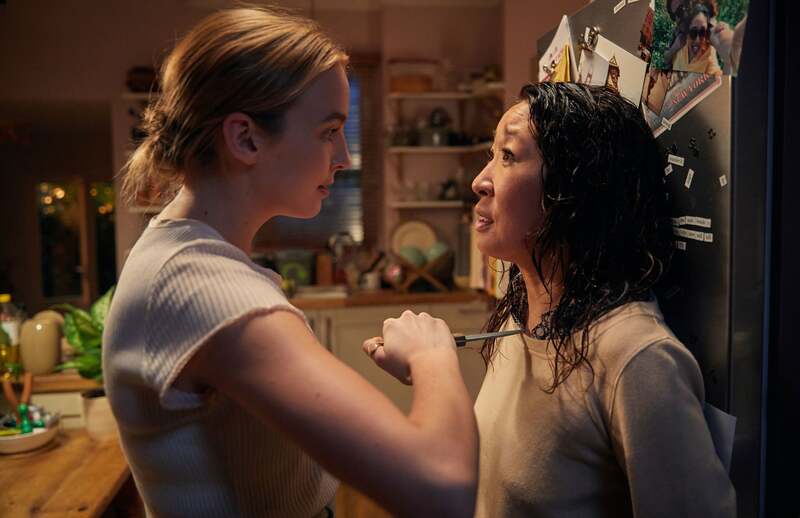 In another sequence, Villanelle stumbles into a kitchen looking for a knife to stab an off-screen man, who may or may not be Eve's husband (or another killer). Eve later opens a box with white roses that spell her name, looking relieved immediately afterward. 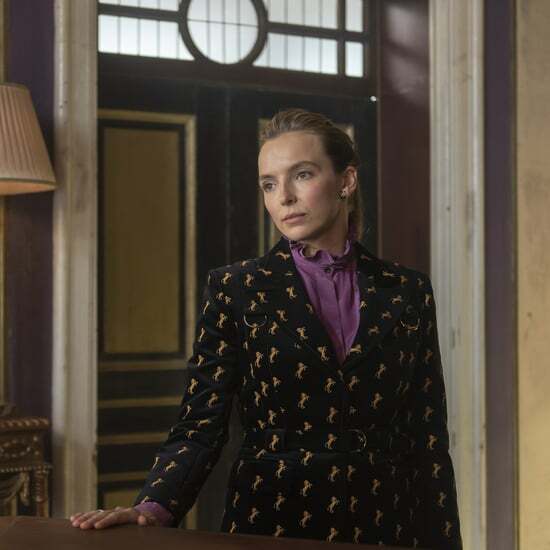 As her boss Carolyn asks her why she and Villanelle are so interested in each in a voice-over, Eve strokes a door that reads "201" with, barring a misleading edit, Villanelle looking through the peephole from the other side. Could this be an illicit rendezvous? As we've mentioned, there are serious energy exchanges between these two! 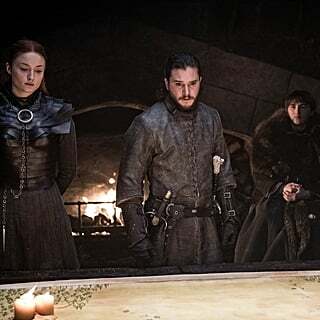 The second trailer repeats may of the same lines as well as the whole romantic motif, including a shot where someone is tracing their finger along a heart on a table. Carolyn then asks Eve, "Any idea where she might have gone? Any feelings?" Eve emphatically replies, "No, no feelings." Sure, Eve, suuuure. The obsessive vibes will definitely intensify in season two. 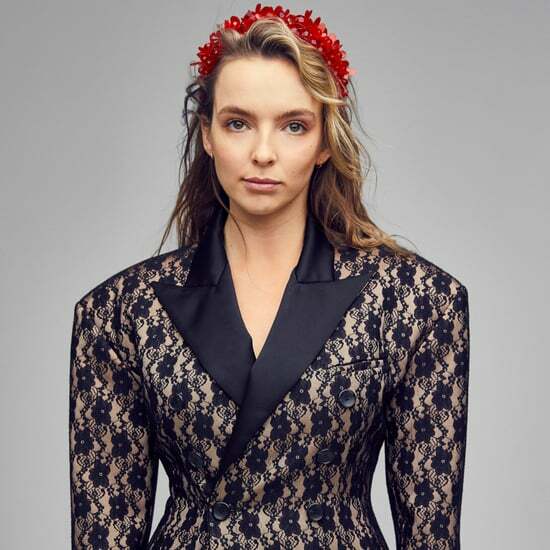 Executive producer Sally Woodward Gentle has said that the second installation of the series will explore what "would happen to Villanelle . . . if she thought that Eve's gaze wasn't always on her." 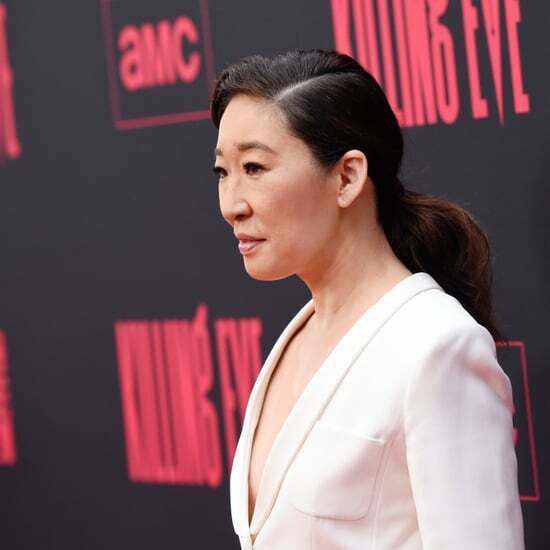 Sandra Oh, who plays Eve, spoke of the two women's dynamic in an interview with ET Canada. 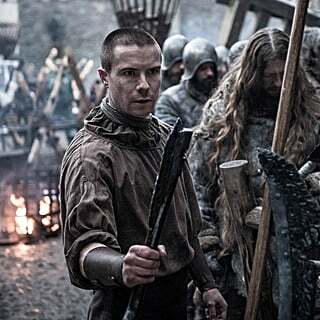 "They've crossed a line and there's kind of no going back. 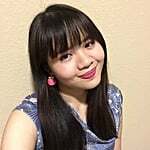 We have a lot of energy at the beginning," Oh said. "That pushes both of them into a different place of vulnerability. How can you come to terms with a relationship that seems to be impossible? That's what I think we're trying to figure out daily." 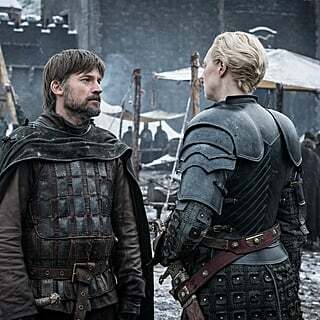 In another talk with Entertainment Weekly, Oh explained her biggest challenge in season two, hinting specifically at the tensions of a romantic relationship. "How do you keep the storytelling of the impossible romance? How do you move from a cat and mouse to a cat and cat?" she asked. 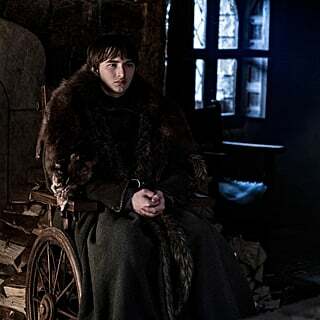 Only with the arrival of season two can we confirm if an affair will spawn from this chase — it's definitely bordering on romantic obsession based on everything we've seen so far!